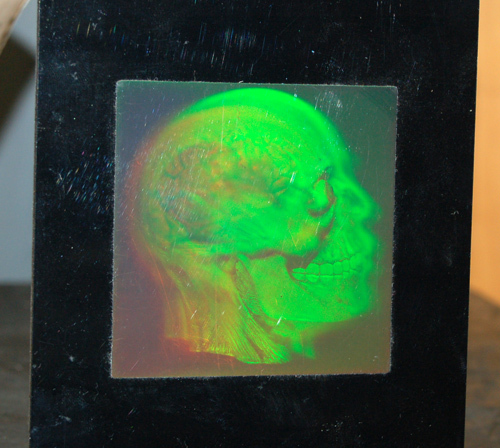 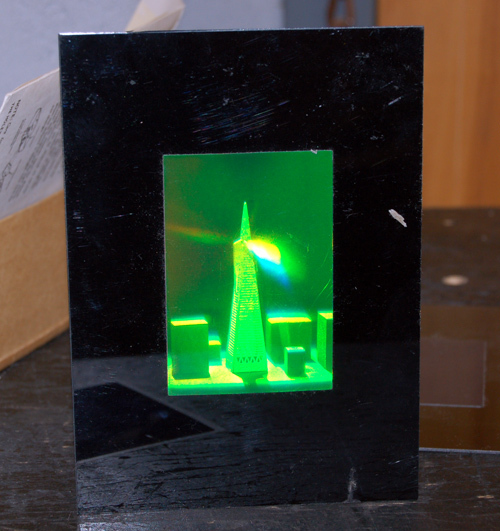 Description: This demonstration shows students what a Hologram is and how it works. 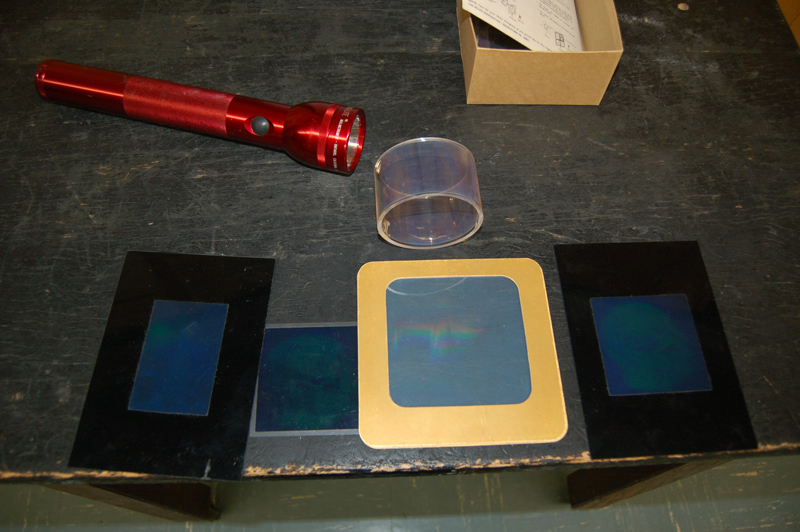 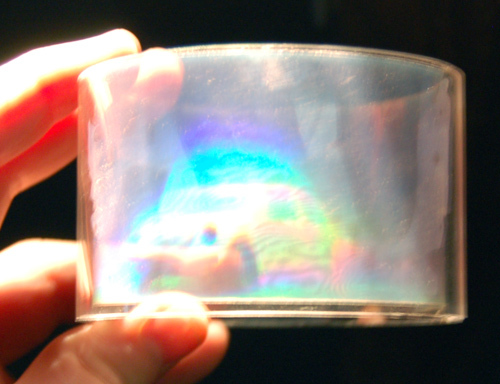 Have students observe the two main holograms (the ones in the black plastic). 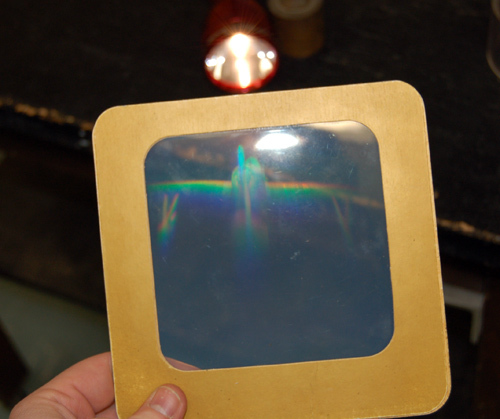 If you want, you can show students the plane and VW bug hologram by shining the flashlight at them at a certain angle (hard to achieve).